Ol Donyo lodge is one of the oldest and most classic of Africa’s safari destinations. Kenya’s first Relais and Chateaux lodge represents the ultimate of private, exclusive safari bliss. Located on the Maasai-owned Mbirikani Group Ranch, comprising of 275,000 acres of wilderness between Amboseli and Tsavo National Parks and bordering Chyulu Hills National Park, it offers endless views of Mount Kilimanjaro and the savannahs below. Breathtakingly beautiful every way you look, Ol Donyo is a must for the bucketlist, the ultimate luxury destination in South Eastern Kenya. Built to combine the most heart-stopping views of Mount Kilimanjaro and the ever-exciting waterhole the ten thatch suites (eight of which have their own private pools) are perfect for honeymooners or family groups. Each suite is completely unique but all of them blend effortlessly with the African bushveld around them. Boasting amazing star beds atop each one, you can lie up there for hours with a sneaky nightcap and gaze up at Africa’s astounding blanket of stars. With a grand stone fireplace at its heart the main lounge, library and inviting bar area will make you feel completely at home. It’s the perfect spot to socialise with your family and friends and other fellow travellers. Take some time out, relax and sit on the spacious verandah marveling at the view or in the dining room savouring your mouthwatering meal, as there is no such thing as time on an African safari. On a hot day, cool off in the exquisite infinity pool before having an iced cold beer or G and T before a short afternoon nap and your action-packed afternoon game drive. It is absolutely impossible to get bored at Ol Donyo, in fact you are more likely to worry about which of the multitude of activities you want to do, when. From cultural visits, to good quality wildlife viewing, to horse riding, to hiking, to fly camping, to mountain biking… there is so much on offer, so many adventures and unforgettable experiences to be had. The semi-arid region is home to lots of elephant, giraffe, zebra, cheetah, lion and so much more. 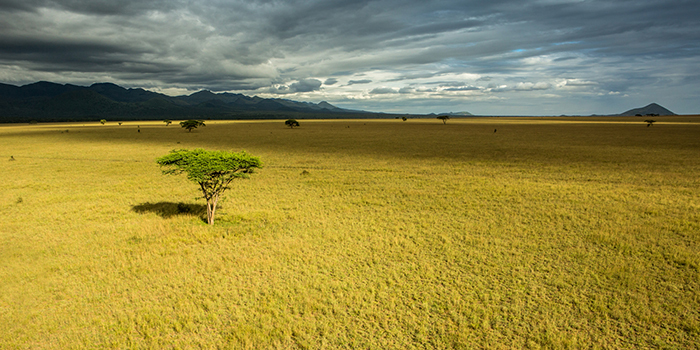 The surrounding vegetation is exquisite, unique and when added to one of our Masai Mara Camps such as Mara Plains or Angama Mara it ensures the most well-rounded and complimentary Kenyan itinerary. The lodge staff are mostly from the surrounding Maasai community and full of passion, knowledge and excitement for their home, which they cannot wait to share with you. The staff really are a real treasure so make sure you take the time to speak to them, they have had incredible lives and will have some very interesting stories for you. Ol Donyo has an incredible community tourism partnership with the Mbirikana Group Ranch as the land is actually leased from the Maasai and offers them assistance not only with job creation but with helping to preserve the land too. In fact it really is a trailblazer in innovative community conservation schemes ensuring that even you while staying there, you contribute in your own way to the sustainability of the African people and wilderness around you. Ol Donyo Lodge is a fifty minute flight in a private air charter. There are daily scheduled SafariLink flights departing Wilson Airport in Nairobi. June to October is the winter/dry season. This is when the bush is less dense and animals are much easier to spot as they generally congregate near waterholes. There isn’t much rain at this time of year, the skies are blue and there are a lot less mosquitoes than in the summer months. It is also the best time to see the incredible wonder that is the great wildebeest migration, although parks are generally busier at this time, as a result. For more on the migration click here. November to May is Kenya’s wet season. It is also the low season, so the reserves are less crowded and rates are lower. The landscape is lush and green and many newborn animals can be seen. The plains are alive and many migratory birds are visiting. Although rain is heavier during this time it is only between March and May that it can sometimes be cloudy and continuous. 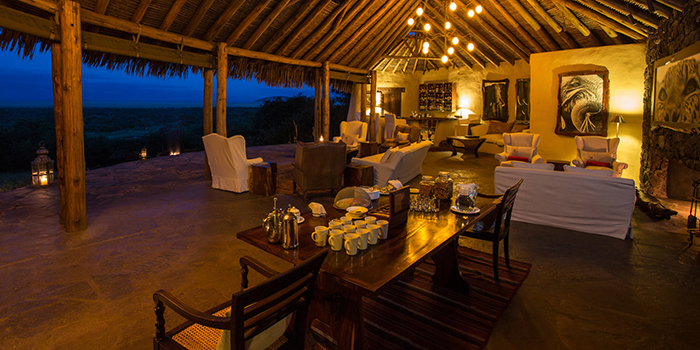 Ol Donyo lodge is one of the oldest and most classic of Africa’s safari destinations. Kenya’s first Relais and Chateaux lodge represents the ultimate of private, exclusive safari bliss. Contact Iconic Africa now and let us craft the ultimate East African adventure for you.